Working for Black Belt, the world’s leading martial arts publication, was an unforgettable experience. At the time, the magazine was only available in print form and it was quickly becoming clear that video platforms like YouTube were putting a serious dent in our attention share. After all, it is a lot easier to learn a movement based skill through video that from a series of still photos. 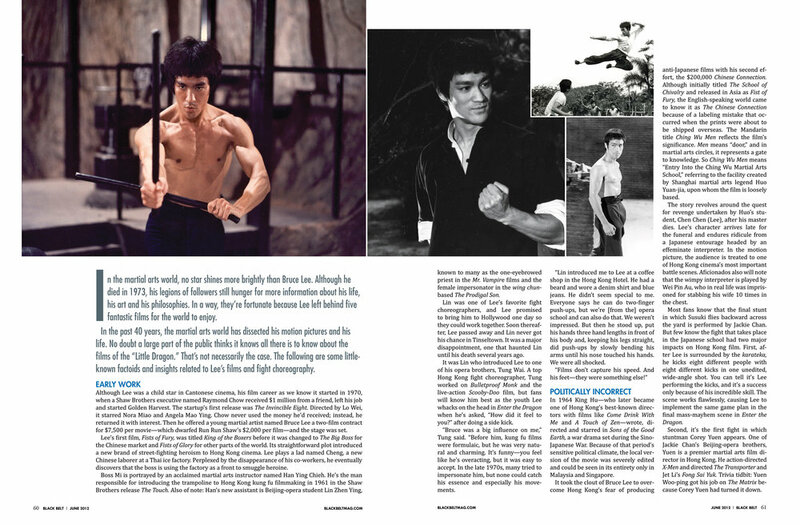 Digital versions of the publication, which could host embedded videos or link to Black Belt’s YouTube, were a must. But the Creative Director and I wanted to take it a step further: we wanted to expand the appeal of the Black Belt brand to new audiences… without alienating or disrespecting our more traditional base. Since we were both huge film buffs, we decided to capitalize on the boom of superhero and action films being release where more effort was channeled into showcasing realistic fight sequences. Thanks to special features on DVD and BluRay, as well as on YouTube, the general film going public was becoming more interested and informed of martial arts styles and techniques. Black Belt began to integrate coverage of actors, stunt people and fight choreographers (who are typically amazing fighters themselves). We started designing with a cinematic flair, inspired by marketing campaigns from throughout film history. It also didn't hurt that the late Bruce Lee and his family had been integral to Black Belt's origins. Every month became a fun and exciting experience for the design team and our readership responded with a tremendous amount of positivity and excitement. In addition to my role as assistant art director, I was also a regular illustrator for the brand.